Staff in Cambodia – Kidshelp Kambodscha e.V. Michael Dohr was born on 27.08.1985 and comes from Rhineland-Palatinate, a state in the western side of Germany. His work for Kidshelp Kambodscha e.V. Michael has been our Country Director since the beginning of 2017. His responsibilities are to take care of the operational and programmatic work of Kidshelp Kambodscha on the ground, the supervision of all staff members and volunteers and to keep the board and all of our members as well as anybody who is interested, informed about the activities of our NGO. Apart from this Michael prepares regular reports on the activities and financials of Kidshelp Kambodscha. These are transmitted to the relevant line ministries on a regular basis to guarantee the smooth collaboration with the authorities. Kath Khemara went to a Cambodian high school until 1998 and started her teacher’s training in the same year. In 2000 she passed the exam to become a primary school teacher. In 2007 she started her studies at university in Phnom Penh which she successfully completed with a bachelor degree in 2011. For her studies she had to travel to Phnom Penh every weekend besides her work at the public school during the week. In 2009 she started teaching chemistry at the high school in Prek Dambang where she has been working until this very day. Kath Khemara lives in Loer Oet village in our English school together with her two children. Even though she already has many private and job-related duties, she took up her master’s studies in 2014 and finished her MA in English in 2016. Hun Tharith lives in Prek Dambang together with his wife. Tharith is a fully trained English teacher for high schools. 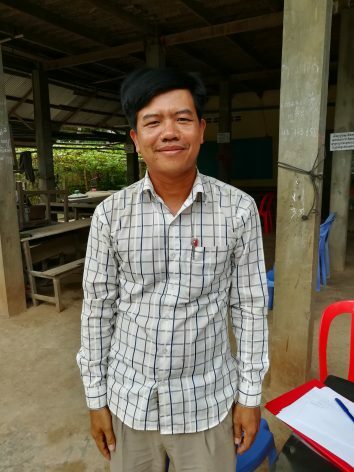 Since 2008 he has been teaching at “Serey Mongkol High School.” Even then he stood out as an outstanding and very dedicated teacher. Nevertheless, in 2011 he obtained a job at a private school in the provincial capital Takheo. This position gave him the opportunity to improve his teaching skills even more. Therefore, we made an effort to hire him as the new deputy principal after the resignation of our former principal Sen Phakdey. Yung Chanrin graduated from high school in 1999 and started his teacher training right after. 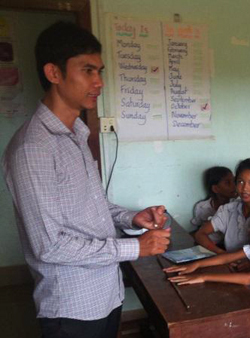 In 2001, he passed the exam to become a primary school teacher and has been teaching ever since. In 2008, he started to study math in Phnom Penh, which he successfully completed with a bachelor degree three years later. 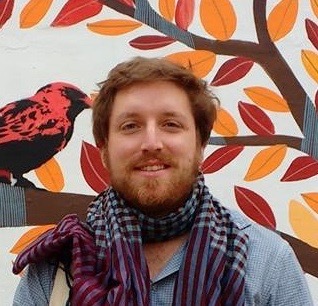 For his studies, he had to travel to Phnom Penh every weekend besides his work at the public school during the week. His additional degree qualified him to become a teacher at the Secondary School in Prek Tamak, were he was born and is living in a house together with his parents -in-law, his wife, his daughter and his son. In 2014, he started to build to his new house and in 2015, the house is completed built, it is resting for a bank. Yung Chanrin has been working with us since June 2017. There is a number of children in Prek Tamak that receive support from Kidshelp and since Chanrin has been living and teaching in the community for many years, he is the perfect counterpart when it comes down to providing continued support and council to the children and their families. Aside from assisting with paying out the monthly stipends we hand out to the families of the sponsored children, he helps up to conduct regular updates on the situation of our beneficiaries.